Its only days since Sreesanth was arrested for spot fixing, and now two Malayalam film makers are gearing up with a movie " Cricket" which will showcase Sreesanth's life. The movie will be directed by Shaji who is well known for depicting movies with underworld milieu and scripted by Sajan. Sreesanth is the hot topic in whole of India for his alleged involvement with bookies and spot fixing, the matter has become a national issue as it's a shame to Indian cricket itself. Sajan and Shaji reveal that this movie will be about a young Kerala born cricketer who is rich in talents and reaches the peak in a short while, but how greed takes over him and how he enters the crooked ways of life, with no one else to blame than himself. They also further mentioned this movie will be an eye opener to young cricketers, it will tell them only Hard work matters and money is not everything. While Vijay fans are rejoicing to hear that the superstar will be working with director Murugadoss again post 'Thupakki', here's latest update on the movie front. Buzz is that the untitled film has brought 'Kolaveri' musical hero Anirudh on board. Initially, rumours had it that the filmmaker will be working with Harris Jayaraj, since they had given success hattricks earlier with 'Thuppakki', '7aum Arivu' and 'Ghajini'. However it has been now finalised that Anirudh will make our Thalapathy dance to his tunes, literally! But now sadly the young talent wouldn't be able to don grease paint. News had been that Anirudh will debuting as a actor in 'Podaa Podi' famed Vignesh Shiva's next venture. Now with new responsibility on hand, apparently Anirudh's acting dream has to wait. "This is a prestigious project and I have my hands full with music composing assignments currently," the young composer said in an interview. Incidentally, Anirudh also has Elred Kumar's untitled project on hand. Vendhar Movies is on a high, getting hold of everything on their way. They hit a jack pot with their last buy, Ethir Neechal. 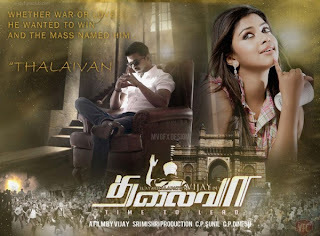 Now it has come to our knowledge that the company has acquired the distribution rights for the Vijay starrer Thalaivaa. Team Thalaivaa has also sold the Kerala distribution rights to Thameens Films, who had also earlier distributed Vijay's Thuppakki. The producers, Shri Mishri Productions are also looking to release Thalaivaa's music, composed by GV Prakash on 22nd June, Vijay's Birthday. 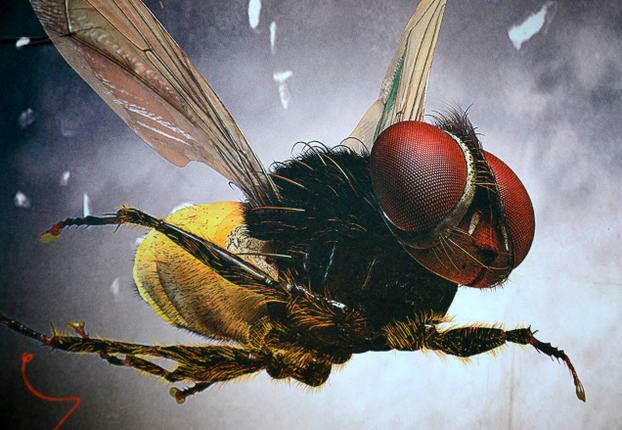 SS Rajamouli's Naan Ee is all set to be screened at the Cannes Film Festival on May 20th in the Film Market Section. Following which the director and his team will fly to Madrid, Puchon and Shanghai. The romantic-fantasy has won six nominations, including the Best Film, best supporting actor (Sudeep), best cinematography, best special effects, best music composer and best editor at the prestigious Madrid Film Festival 2013. This is also the first Indian film to compete in the 'Best Film' category in the Madrid Film Festival. Naan Ee, following this, will also participate in the Shanghai International Film Festival and Puchon International Fantastic Film Festival.